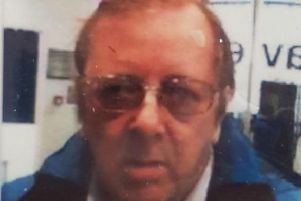 Police are on the hunt for a Doncaster man who went missing from his home early this morning. Officers are concerned for the welfare of Anthony Taylor, who has not been seen since leaving his Doncaster home at 5:30am this morning, 14 February. A South Yorkshire Police spokesman said that Anthony, aged 54, had links to Leeds. If you’ve seen Anthony please get in touch with the police. Call 101 and quote incident number 339 of February 14 .